David came to Health Enterprises Network in 2010 in the role of Business Development Director before assuming the role of Managing Director in January 2017. David possesses over 25 years of experience in business-to-business sales, marketing, and workforce development, in medical, business, education, and government sectors. 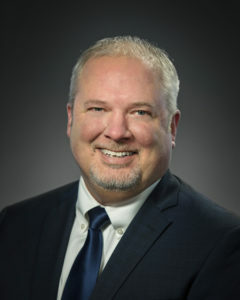 He’s served in key leadership roles in multiple healthcare workforce development initiatives and consortiums, chairing a Long Term Care training consortium that returned over $150,000 in training costs back to Louisville based Long Term Care companies. Through his leadership, Health Enterprises Network has expanded its membership, rallied support around key health-related issues, and contributed to the growth of the healthcare economy. David holds a Bachelor of Arts in Communications with a concentration in public relations from the University of Louisville. Among several notable training designations, David earned a “High-Impact Presentations Certification” from Dale Carnegie Training.